Our eldest son shared this as the Thanksgiving prayer around our table today. It blessed me…and I hope it blesses you! Give us the grace to accept and to forgive offenders. Spare to us our friends, soften to us our enemies. Bless us, if it may be, in all our innocent endeavors. loyal and loving one to another. PRAYER: In Jesus’ name, Amen. NOTE: Galen is a missionary with Medical Ambassadors International (MAI) and raises his own support. DayBreaks is free – and will remain so – but if you wish to help support Galen in his ministry work with MAI, you can make a donation on his behalf. One-time donations may be made by going to this link: http://www.medicalambassadors.org/donate.html. Look down the left side of the page until you find the SUPPORT MISSIONARIES section then click on “Galen Dalrymple” and you’ll be taken to PayPal where you can make either a one-time or recurring (monthly) donation for his support. If you have any questions, call 209-543-7500 ext. 219. You can also write a check to Medical Ambassadors International. Mail the check to Medical Ambassadors International, P.O. Box 1302, Salida, CA 95368. All donations are tax-deductible as MAI is a 501.c.3 organization certified with the Evangelical Council for Financial Accountability and Guidestar. Today is Thanksgiving 2013. Perhaps instead of heading into Thanksgiving with joy and gratitude, your life is being overshadowed with some mighty mountain of fear, doubt, despair, anxiety or heartbreak. As humans, it is a condition to which we are prone! We are so small and tiny compared to the problems of the world and the problems of our own hearts and souls. It is easy to let our gratitude be overshadowed with worry, for our Thanksgiving to become a mere ritual than an actual practice on this day. Just for this day, set your mountain aside. Don’t be anxious about it. 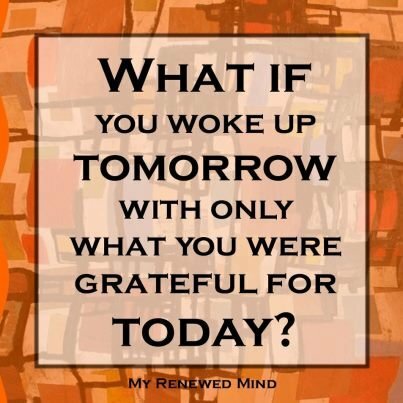 Today – be thankful. Lift your voice and heart to Jesus with praise for what is good in your life. Thank him for those things. Entrust tomorrow’s outcomes to Him and for today, revel in His goodness to you. PRAYER: For all who face this day with fear and hurt, surrounded and immersed in problems and anxiety, we pray that they will set their mountain aside and celebrate Your goodness and let a spirit of thanksgiving overflow as we pause to consider all the good that is in our lives because of Your goodness! In Jesus’ name, Amen. NOTE: Galen is a missionary with Medical Ambassadors International (MAI) and raises his own support. DayBreaks is free – and will remain so – but if you wish to help support Galen in his ministry work with MAI, you can make a donation on his behalf. One-time donations may be made by going to this link: http://www.medicalambassadors.org/donate.html. Look down the left side of the page until you find the SUPPORT MISSIONARIES section then click on “Galen Dalrymple” and you’ll be taken to PayPal where you can make either a one-time or recurring (monthly) donation for his support. If you have any questions, call 209-543-7500 ext. 219. You can also write a check to Medical Ambassadors International. Mail the check to Medical Ambassadors International, P.O. Box 1302, Salida, CA 95368. All donations are tax deductible as MAI is a 501.c.3 organization certified with the Evangelical Council for Financial Accountability and Guidestar. Proverbs 17:17 (ESV) A friend loves at all times, and a brother is born for adversity. Proverbs 18:24 (MSG) Friends come and friends go, but a true friend sticks by you like family. Proverbs 27:6 (ESV) Faithful are the wounds of a friend; profuse are the kisses of an enemy. Proverbs 27:9 (ESV) Oil and perfume make the heart glad, and the sweetness of a friend comes from his earnest counsel. Ecclesiastes 4:10 (NIV) If one falls down, his friend can help him up. But pity the man who falls and has no one to help him up! Ecclesiastes 4:12 (MSG) By yourself you’re unprotected. With a friend you can face the worst. Can you round up a third? A three-stranded rope isn’t easily snapped. Everyone in the world needs a friend. I don’t think that we need lots of them, but when the chips are down, we need a friend we can turn to, trust, lean on. I am blessed to have a friend like that. A brother born for adversity – and for victory. A friend who sticks by me (perhaps even better than family). A friend whose words are wise with counsel and who won’t pull punches with me when I’m wrong. A friend who sharpens me and pushes me to be better, someone who will reach down to help me up. Someone who will face the worst that life has to throw at me. And I am grateful for my friend, Ken, for he is that kind of friend to me. But my friend needs a friend, too. And while I am his friend and he is mine, we both recognize that we need a far greater Friend than we can ever be to one another. At best, the friendship Ken and I have shared for 36 years is a poor imitation of the great Friend, the One known as “the friend of sinners.” Thank God for such a Friend! Thank God that He is the friend of sinners who call Him “Father”! Thank God that though my friend Ken and I will some day be temporarily parted by death, we will never be separated from the Friend of our souls and that in eternity our friendship can continue…forever! Thank God that He is not just my friend, but Ken’s friend, too, for that makes our friendship even more special and precious…a friendship that will survive death and time. Jesus wants to be that kind of friend to you, to all of us. Will we let Him? If you’ve not met Him yet, let me introduce you to him. Feel free to contact me through this blog…send me a comment. I want you to know my Friend! And He wants to know you! How much I have to be thankful for! PRAYER: Thank You for giving us true friends, but thank You especially for being our truest Friend now and forever! For all those who need a friend like you, we pray that they will find You to be the perfect friend for whom they have been seeking! In Jesus’ name, Amen. We Americans like to have choices, don’t we? We go into a grocery store and can choose from nearly a bazillion types of cheese, or crackers, or cuts of meat. Has anyone ever counted how many different kinds of breakfast cereal there is? And, once you get to the checkout register, you can choose from People, Us, Star, National Enquirer, Cosmo, Time and the like. We do like our choices! In fact, we hate it when someone takes our choices away from us! We like our choices of churches, too. If you don’t like one, there’s another right down the street (or at least there used to be). If you don’t like one type of worship music, you can find a church that does tickle your music style. The only problem is this: there is much about Christianity that is not left up to us to “pick and choose”. Some things we must either accept or reject…there is no middle ground. Our choices are limited by a loving, wise and benevolent Father. Well, what I mean to say is that while He may leave us to think we have many choices, there really are only two: it’s one way or another, but never both. The choice is simple: God or not-God, right or wrong, truth or evil, heaven or hell. There are two options. Period. Choose carefully, for eternity hangs in the balance. PRAYER: Lord, help us to choose wisely and to make the choice that leaves to You! In Jesus’ name, Amen. Romans 12:3 (MSG) I’m speaking to you out of deep gratitude for all that God has given me, and especially as I have responsibilities in relation to you. Living then, as every one of you does, in pure grace, it’s important that you not misinterpret yourselves as people who are bringing this goodness to God. No, God brings it all to you. The only accurate way to understand ourselves is by what God is and by what he does for us, not by what we are and what we do for him. In A Second Helping of Chicken Soup for the Soul, John R. Ramsey tells how in one church a certain person provided him with a rose boutonniere for the lapel of his suit every Sunday. At first he really appreciated it but then it sort of became routine. Then one Sunday it became very special. This, my friends, is the sort of thankful spirit that is to permeate our hearts. It’s an attitude of gratitude that should guide our giving, our receiving and our lives. Like that boy’s grandmother, God has blessed us so much. God has been so good to us that when the time comes to give to some work of God it shouldn’t even be a question. It should just flow from us naturally. As should a heart of thankfulness. PRAYER: We have so much to thank you for, Father. You have showered blessing after blessing into our lives…none of which we have deserved. We are in awe of your giving heart and long to be more like you! In Jesus’ name, Amen. There’s a true story that illustrates the power of the cross: the Archbishop of Paris once stood in the pulpit of Notre Dame Cathedral. He was there to preach a sermon, a sermon built around a story. Thirty years earlier, he said, three young tourists who had come into that very cathedral. All three young men were rough, rude, cynical, thinking all religion was nothing more or less than a racket. Two dared the third young man to go into the confessional box and give a made-up confession. The two bet him that he didn’t have the nerve to do as they dared. That’s the miracle of the cross. It changes things. It changes us. No honest person can look into the face of Christ on the cross and come away unchanged. Once we begin to understand the love that brought the cross to take place, we want to change our relationship with God. We cannot remain the same, anymore. 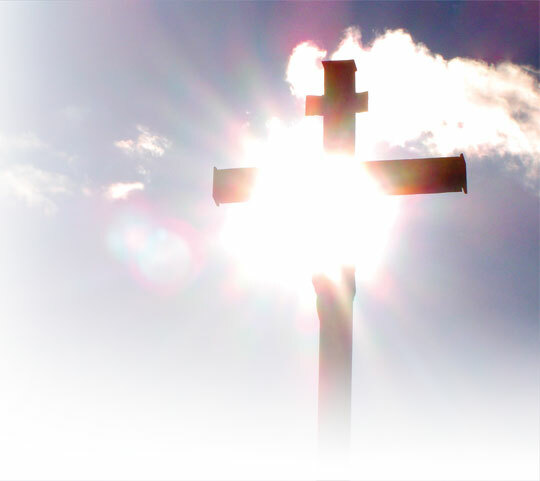 How much difference is the cross making in your life? PRAYER: For the pain, for the shame, for the anguish and for the death on the cross we thank You, Lord Jesus! Thank you for making a change in this world – and in all who come to you! In Jesus’ name, Amen. I would have to imagine that perhaps two people in history had that conversation REALLY seriously: Judas and Peter. The betrayer and the denier. I don’t know about you, but I’ve been both. And Peter betrayed Jesus right after boldly and confidently proclaiming that he would NEVER deny Jesus, even if he had to die right alongside of Him! Yes, Peter could have really gotten down…and I know he did, because Scripture says he went away and wept bitterly after the third crowing of the rooster on that fateful Good Friday. I’ve struggle in life with those feelings myself. I can’t understand how I can listen to “10,000 Reasons” by Matt Redman and weep tears every single time I hear it because I’m so in awe of God and His great love and mercy…and then turn right around and betray and deny Him mere moments later, either through my thoughts or actions. Why, God, why? How is it possible for a human being to be so torn and two-faced? I love the way William Barclay explained it in his Daily Study Bible commentary on Luke 22: “Even in spite of his denial he (Peter) was fundamentally loyal. H. G. Wells once said, “A man may be a bad musician, and yet be passionately in love with music.” No matter what Peter did, however terrible his failure, he was nonetheless passionately devoted to Jesus. There is hope for the man who even when he is sinning is still haunted by goodness”. That’s me in spades. Even while sinning, I am haunted by goodness. Perhaps that’s what makes my sinning so painful. PRAYER: Oh, Jesus. I am a denier and betrayer and a bad disciple and Christian, but I do love you passionately! Thank you for loving me, just as you loved Peter, and covering my terrible failures with your blood. Thank you for this encouraging perspective on our failure and Your goodness! In Jesus’ name, Amen.